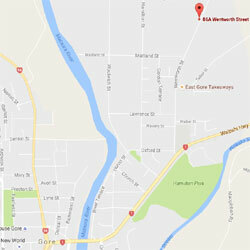 The Mataura River is world renowned for its "Match the Hatch" fishing, however we are spoilt for choice, with over 25 other rivers and streams within one hours drive from Gore. I live and fish locally and consider it a privilege to guide visiting anglers on the Mataura and other Southland Rivers. After living here for many years I know the rivers intimately, and friendships with local landowners allow me access to some epic fishing spots. I am confident I can show you some of the best fly fishing that you will find anywhere in the world. I have fished in a number of countries including England, Wales, Finland, Austria and Canada, and can truthfully say that the Mataura River can hold its own with any water that I have been fortunate enough to fish. 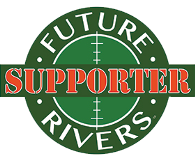 I am a member of the New Zealand Professional Fishing Guides Association (NZPFGA) and actively encourage catch and release, and river conservation. The Association sets a standard to ensure fishing clients have a quality and enjoyable fishing experience. One of the prerequisites for membership of NZPFGA is that guides are certified in First Aid. For your safety I am fully qualified in First Aid and CPR, and always carry the necessary first aid kit and PLB. I specialize in Dry Fly and Nymph fishing and carry two fully rigged rods for clients, one for Dry Fly fishing, the other for Nymphing, so that we can fish off the top whenever there are rising fish without me wasting your valuable fishing time re-tying flies. Whether you are a beginner or an expert, I have loads of patience, heaps of local knowledge, and expertise to help you experience the thrill of landing a hard fighting wild brown trout from our uncrowded Southland rivers. Southland has a temperate climate. Summer temperatures can reach 30 degrees celsius, however most days will be around 15 to 25 degrees celsius. We can on occasions experience all four seasons in one day, so visiting anglers should come prepared with a warm, water and wind proof jacket. If you are bringing your own outer wear, light breathable waders are suitable. Please note that felt soled boots are banned in New Zealand. Polaroid glasses are a must, preferably amber coloured. Most days, subject to light and weather conditions we will be spotting a lot of the fish before casting to them. 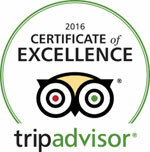 Unlike many guides I do not charge a deposit or cancellation fee. Very occasionally a booking may need to be amended or cancelled due to river or weather conditions. As this is no fault of either party, I believe the client should not be financially disadvantaged. I will always try to find clear fishable water, and with over 25 rivers within one hours drive, can usually do so.